Egon Schöpf - 90th Birthday Egon Schöpf developed a passion for skiing at a young age. He acquired a feeling for making curves early on, maybe because of his great role model father, who took him skiing in a backpack as a toddler. Egon Schöpf celebrates his 90th birthday today. Kitzbühel Ski Club, Organizers of the Hahnenkamm Races, offer their sincere congratulations! His record runs are legendary. He once penned the words: „Marmolata Race was a unique experience. We were not aware of how tremendously fast we were during the race - it was just before and afterwards that we were filled with dread. It was my 1st Downhill victory...., the spectators went crazy because of the new record time”. His greatest successes: – 1947 Academic World Championships Davos „Academic World Champion“ – 1948 Marmolata-Winner with a new course record – 1948 Monte Canin Downhill Champion and course record (beating the 1947 record by Karl Feix from Kitzbühel) – 1950 Ski World Cup Aspen (USA), Downhill bronze, behind Italian Zeno Colò and Frenchman James Couttet. He came fifth in the Slalom. – 1949 triple victory at the Hahnenkamm Races, Downhill, Slalom and Combined winner – 6-time Austrian champion and double Austrian vice-champion. He really went for it between 1947 and 1952. 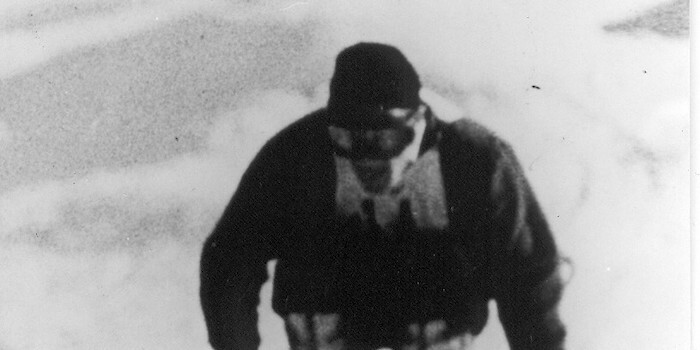 Although he had no alternative but to defer to the “Kitzbühelers” at Hahnenkamm in 1947. Karl Feix took Downhill victory, Christian Pravda won the Slalom and the Combined (Pravda came third in the Downhill). One year later „the oldies“, Heli Lantschner (Innsbruck Ski Federation) and Thaddäus Schwabl (K.S.C.) showed that they still had what it takes. Only Edi Mall from Arlberg managed to claw his way to victory. He came second in all disciplines, but Mall was not to be thwarted in the Special Downhill on Mount Sticklberg, and won. 1949, however, was Egon Schöpf’s year in Kitzbühel. He fought back and delivered some commanding victories on the Streif and Ganslern slopes. He shaved 13 seconds off the previous year’s record, finishing in 3:02.20 minutes. He was even an incredible five seconds ahead of runner-up, Edi Mall. He had no need to fear his opponents and demonstrated, „Staying power in the Downhill and catlike agility through the 38 gates on the Ganslernhang“ (According to the Tiroler Tageszeitung Newspaper). Edi Mall was trounced again and teammate, Luis Seyrling, could not match Schöpf’s performance. He managed three podium positions, but was unable to oust Egon from the top. Kitzbühel’s Pepi Salvenmoser came fourth in the Downhill on the Streif and Karl Fahrner from St. Anton achieved fifth place. The dashing Eberhart Kneißl from Sölden was another strong contestant, who came in fourth place twice. Fritz Huber jun. from Kitzbühel achieved fifth position. Incidentally, ski racing was not his only interest; he was an active handball player in the 1940’s and was a member of the national team. He also achieved success later in life as a rally driver. Again, it was speed that fascinated him. After his sporting career, Egon Schöpf opened a sport shop in Seefeld and was a gifted racing sport manager for Kneissl for many years. Amongst others, he looked after Karl Schranz, Heini Messner, Leonhard Stock and Marc Girardelli. After getting married, he built the „Hotel Edelweiss“ anew in St. Anton am Arlberg, always following the motto: „You arrive as a guest and leave as a friend.“ Just the way Egon Schöpf is. Egon Schöpf Born on 16th October 1925 in Innsbruck. Enjoyed his first success as a youngster. Began studying in Innsbruck in 1946.